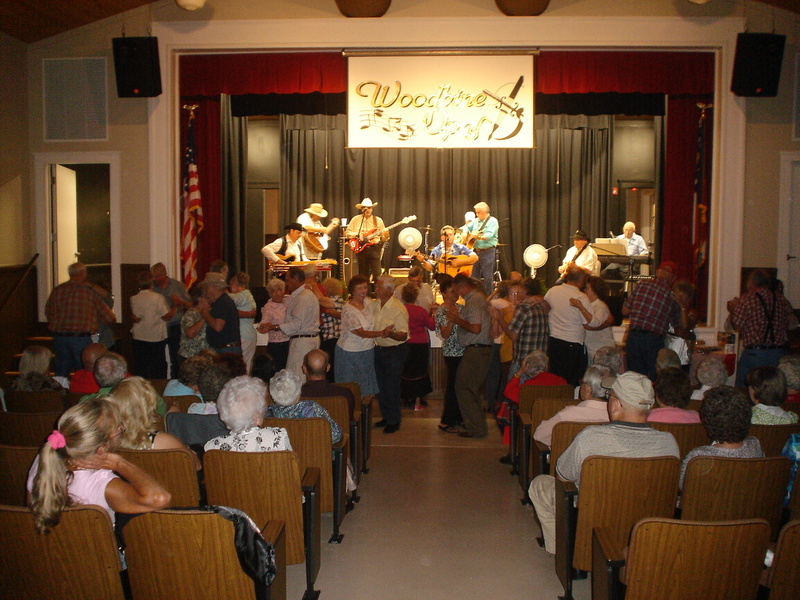 of fun and entertainment can be found at The Woodbine Opry every weekend. Each night’s program begins at 7:00PM. A snack room is available with coffee, tea, sodas, popcorn, and other candies and snacks for our guest’s convenience. Also for sale are t-shirts, coffee mugs, tote bags, and opry caps. Feel free to visit our snack room and socialize with other guests. Location: We are located at the corner of 2nd St. and Camden Ave. in Woodbine, Ga. The address is 205 Camden Ave., Woodbine, Georgia 31569. For information regarding the Friday Night Opry contact Hoydt Drury at hhdrury@tds.net or call Hoydt at 912-576-3027. For information on Saturday Night’s program, contact Robert McCullers at robert.mccullers@comcast.net or phone Robert at 912-673-9609. Doors open at 6:oo, programs start at 7:00; admission free. If you have other info or questions re: website info, contact Annette Staats at annettestaats@comcast.net or phone at 912-230-8371. *PLEASE READ: THIS WEBSITE FOR THE WOODBINE OPRY “thewoodbineopry.com” (wordpress site) IS BEING DISCONTINUED. THESE OPRY SITES WILL CONTINUED WITH THE SAME PROGRAM INFORMATION, NEWS, UPDATES FOR THE WOODBINE OPRY PROGRAMS, BOTH FRIDAY AND SATURDAY NIGHTS ON FACEBOOK. WE HOPE YOU CONTINUE TO VISIT US ON FACEBOOK @ The Woodbine Opry/Fridays Nights and The Woodbine Opry/Saturday Night. Places to eat in Kingsland, Ga.